http://www.virtualdub.org/ wrote: VirtualDub is a video capture/processing utility for 32-bit and 64-bit Windows platforms (98/ME/NT4/2000/XP/Vista/7), licensed under the GNU General Public License (GPL). It lacks the editing power of a general-purpose editor such as Adobe Premiere, but is streamlined for fast linear operations over video. It has batch-processing capabilities for processing large numbers of files and can be extended with third-party video filters. VirtualDub is mainly geared toward processing AVI files, although it can read (not write) MPEG-1 and also handle sets of BMP images. Download VirtualDub latest release (currently v1.10.4.35491) from sourceforge.net/projects/virtualdub/files/virtualdub-win/. BTW, a ready-made configuration file for yaP launcher is available from http://www.rolandtoth.hu/yaP/configs/VirtualDub.ini. Thank you for starting this topic Midas. That is what I should have done but I'm just not accustomed to commenting in the forums. I'll try to remember to do that in the future. Anyway, good news! joby_toss posted a solution, or rather, a way to make the Portable Apps launcher start the 32-bit application rather than the 64-bit one. See... http://www.portablefreeware.com/index.p ... mment27582. 1. A hyperlink to joby_toss' comment for users who want to use 32-bit plugins. 2. Just as mention is made of the Portable Apps Plugin Pack, I believe some mention should be made of the FFMpeg Input Plugin which is available at http://sourceforge.net/projects/virtual ... putplugin/. It is really a much better alternative, and it is stealth (as far as I can tell). Let's break this down step by step because any entry edits need to be very easy to understand and follow. Joe wrote: A hyperlink to joby_toss' comment for users who want to use 32-bit plugins. Why would someone want to use 32-bit plugins? Who should do that and why? Joe wrote: Just as mention is made of the Portable Apps Plugin Pack, I believe some mention should be made of the FFMpeg Input Plugin which is available at http://sourceforge.net/projects/virtual ... putplugin/. It is really a much better alternative, and it is stealth (as far as I can tell). Mention how? Can you draft something up? It is recommended that you use the 32-bit version unless you have a specific need for 64-bit execution, as the 64-bit version cannot use 32-bit codecs or plugins. webfork wrote: Why would someone want to use 32-bit plugins? At present, many plugins exist in 32-bit but not 64-bit. webfork wrote: Who should do that and why? Users who have 64-bit systems but who want to run the 32-bit version of VirtualDub because there are a greater choice of plugins. I wish it wasn't so but that's the reality. webfork wrote: Mention how? Can you draft something up? 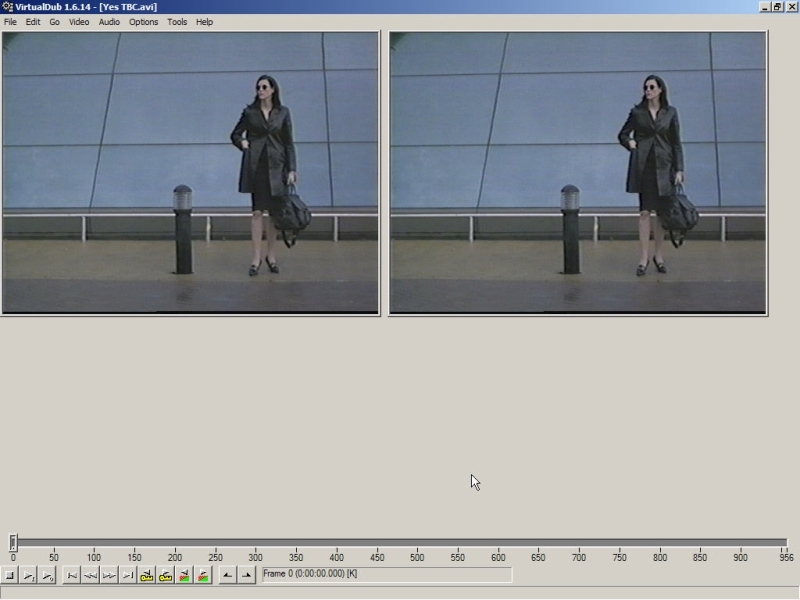 VirtualDub is a video capture/processing utility. It lacks the editing power of a general-purpose editor such as Adobe Premiere, but is great for video capture and transcoding via third-party video codecs. Addition of the FFMpeg Input Plugin will allow VirtualDub to open most formats. 64-bit users who wish to run VirtualDub with 32-bit plugins should follow this suggestion by joby_toss. The forum software doesn't allow hyperlinks but you should get the gist. 2. Optionally, unzip the FFMpeg Input Plugin and copy the plugins32 and plugins64 folders to VirtualDubPortable\App\VirtualDub and VirtualDubPortable\App\VirtualDub64. If folks are interested, I could add a setting into VirtualDub Portable to force it to run in 32-bit mode. I switched it to a dual mode app at the request of several users originally. Having the freedom to choose is always a good thing. Thank's! JohnTHaller wrote: If folks are interested, I could add a setting into VirtualDub Portable to force it to run in 32-bit mode. I switched it to a dual mode app at the request of several users originally. Nothing whatsoever is wrong with a dual-mode app. The real problem is when an app doesn't give me a choice because it knows what is best for me. Joe wrote: Nothing whatsoever is wrong with a dual-mode app. The real problem is when an app doesn't give me a choice because it knows what is best for me. As a general rule, most apps in dual mode should run in 64-bit mode on 64-bit OSes and there's no need to give the user a choice. Things like jkDefrag or Peerblock where the 32-bit version won't work on a 64-bit OS; or 7-Zip where the 64-bit version outperforms the 32-bit version by a large margin and there's no downside; or RawTherapee where the publisher recommends against using the 32-bit version at all. Are you saying you were aware of this but made the decision to give 64-bit users performance over the ability to use 32-bit plugins? I don't know if you intended it here, but I need you to get away from the accusatory thing. Try something like: "Hey John, how about adding something to the UI to give 64-bit users the option to use 32-bit?" Last edited by webfork on Thu Jun 18, 2015 6:19 pm, edited 2 times in total. webfork wrote: I don't know if you intended it here, but I need you to get away from the accusatory thing. Try something like: "Hey John, how about adding something to the UI to give 64-bit users the option to use 32-bit?" Which is exactly what I offered above, since this is the first time anyone has brought up the issue with 32-bit plugins in VirtualDub. Most VirtualDub Portable users are fine with the set of plugins we make available as they include both the 32-bit versions and 64-bit versions in the download pack and cover all the standard formats most users seem to want. Most users don't seem to use plugins from other locations, so this hadn't come up before. webfork wrote: I don't know if you intended it here, but I need you to get away from the accusatory thing. I'm really sorry if anyone should take it like that. All I did was ask a question and John could have simply replied “No. I wasn’t aware that 64-bit users wouldn’t be able to use 32-bit plugins” or whatever is the case. JohnTHaller wrote: Which is exactly what I offered above, since this is the first time anyone has brought up the issue with 32-bit plugins in VirtualDub. Don’t get me wrong. I am glad that you offered but I also think no one ever raised the matter because previous users were none the wiser. JohnTHaller wrote: Most VirtualDub Portable users are fine with the set of plugins we make available as they include both the 32-bit versions and 64-bit versions in the download pack and cover all the standard formats most users seem to want. JohnTHaller wrote: Most users don't seem to use plugins from other locations, so this hadn't come up before. Hopefully we are talking about the same thing here. Nevertheless, have you considered that many users may not even be aware that if they were able to use VirtualDub 32-bit then much more plugins would be available to them? That they may be able to do what they couldn't before? My own thought is users should be made aware of the facts so that they can make an informed decision. With that in mind, I believe displaying a prominent notice on the VirtualDub page would be most helpful to potential users. Sorry to have taken so much time to respond but I went to the trouble of running some tests. I created a simple set of processing settings and saved it. I then loaded these settings on both the 32-bit and 64-bit of VirtualDub in turn and tested an 8 minutes video clip. I was shocked to find that the 64-bit version actually took around 11% more time! I couldn’t believe it so I ran two more tests on different video clips and both times the 64-bit version took between 11% and 13% longer. Whether or not it is generally true for 64-bit applications to outperform their 32-bit counterparts, it certainly isn’t the case here. Try it yourself and see. http://codecpack.co/download/FFInputDriver.html wrote: Virtualdub FFmpeg Input Plugin (FFInputDriver) allows you to open and edit Matroska Container (MKV), MP4, FLV and other video file formats in VirtualDub. VirtualDub, as stand-alone, cannot handle MKV, MP4, FLV, MOV or any other files besides AVI. You need a plugin or plugins to load anything else besides AVI. FFmpeg Input Driver can handle 31 different file formats. The plugin is based as the name may suggest on the FFmpeg libraries. More info at http://forum.doom9.org/showthread.php?t=165218 and http://codecpack.co/download/FFInputDriver.html. Virtualdub FFmpeg Input Plugin latest version ( currently v1.8.3.8 ) can be downloaded from sourceforge.net/projects/virtualdubffmpeginputplugin/.